Friday 23rd May 2014 – 3.30pm – Claire Brown. West Midlands Ambulance Service will be flying the flag at Birmingham Pride this weekend to celebrate diversity. Members of the Trust’s lesbian, gay, bisexual and trans (LGBT) working group will be marching in the parade for the very first time, to support the region’s LGBT communities. 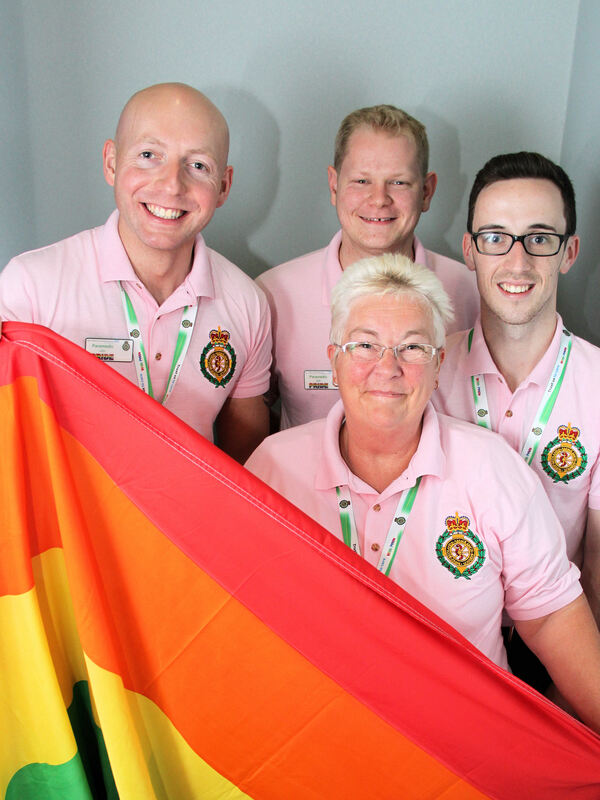 John Renshaw, a Birmingham-based Paramedic Clinical Team Mentor and member of the working group, said: “As part of the Trust’s community engagement, we felt passionately that Birmingham Pride, one of the biggest gay pride events in Britain, was something we needed to get involved in. 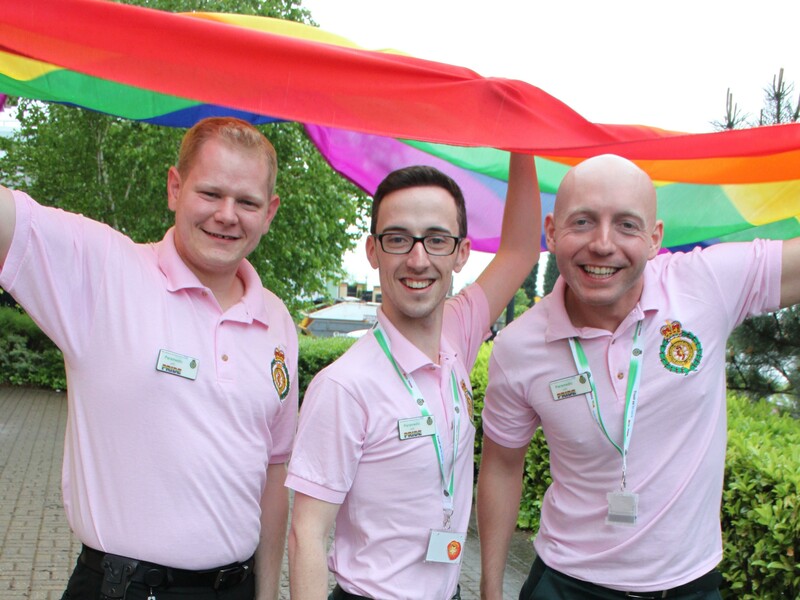 “A total of 10 staff from the working group, from all across the Region and from different roles, will be donning pink WMAS t-shirts and flying a rainbow flag to take part in the Pride march alongside fellow emergency service colleagues. This will be the first time West Midlands Ambulance Service has been represented at Pride and we’re very excited. “We’re also sharing a stand with West Midlands Police during the weekend to hand out freebies, provide useful advice about using 999 and hopefully encourage people to get more involved with their ambulance service by signing up as official members. For photographs of the parade and to follow the team’s progress at Pride this weekend, follow @OFFICIALWMAS on Twitter or search for #WMASpride. Pictured below (left to right): Adam Aston (Birmingham Paramedic), Adam Layland (Senior Contract Manager for Non-Emergency Services), Maria Watson (Human Resources Manager) and John Renshaw (Birmingham Paramedic).